The Kingdom of Eswatini is developing its infrastructure, growing the private sector, and providing an environment that will attract foreign direct investments. The country’s development agenda, despite recent economic challenges, is fully geared to human capital development and improving the quality of life and the social well-being of its people. This was noted on a consultation mission of executive directors of the African Development Bank Group, who visited the country in January 2019, and held consultations with various stakeholders ranging from government to civil society. They heard at first-hand the various perspectives on the socio-economic challenges and the strategies being developed to address them. 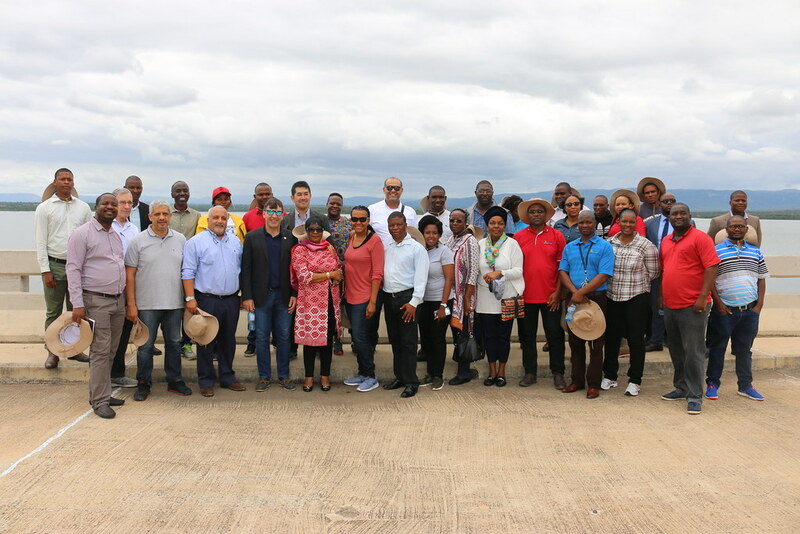 Members of the delegation, through its spokesperson executive director David Stevenson, were impressed with the general atmosphere encountered, and commented, “We’re greatly encouraged by the positivity and optimism we’ve witnessed in Eswatini”. They also confirmed that the country needed to pursue an economic recovery programme to get back on the path to economic development. The detailed consultations were held with key government officials led by the Minister of Finance, also the Bank Governor for Eswatini, and the Kingdom’s Prime Minister. The delegation also met with development partners in Eswatini, the private sector and the civil society organisations. The delegation was particularly impressed by the impact of the Lower Usuthu Smallholder Irrigation Project Phase I (LUSIP I). Under this project, the government is tackling the issue of smallholder competitiveness by pooling resources, with farmers gaining economies of scale both by input procurement and in marketing through the creation of Farmer Companies (FCs), whose formal character makes it much easier to access capital from banks in order to invest in sugarcane production. Capacity-building issues are dealt with by an appointed farm manager. The project’s initial purpose was to develop infrastructure to irrigate 6,500 ha of arable land, with sugarcane as the main cash crop, to establish 65 FCs and thus provide a solid financial foundation for thousands of residents. These targets were exceeded. More than 5,000 hectares were developed for irrigation and 75 companies were established. The project was co-financed with around $130.2 million, the Bank contributing about $14.3 million, and other investors were the Government, BADEA, beneficiaries, DBSA, EIB, EEC and IFAD. The local community is enthusiastic about the potential economic and livelihood gains from LUSIP I. Currently, farmers are each getting about ZAR 11,000 per annum (about $ 800), which is the minimum wage. The model could generate profits of up to ZAR 60,000 per annum (about $4,320) for each farmer. One farmer, Victor Dlamini, a former chair of Kuhlekutentela Company, personifies the transformation. From having nothing, he joined a company as a shareholder and works in another as a gainful employee. “This has moved us from nothing to something; we have work, we have food, and we have some money in our pockets from the sale of sugarcane and the maize and beans at home. We are happy,” says Victor proudly, whilst showing off some of his crop. The scale and success of LUSIP I has led to the continuity of the project in another phase - LUSIP II - which seeks to develop 5,750 ha under irrigation, with 4,000 ha to maintain the steady sugarcane production trends, and 1,273 ha to introduce alternative cash crops. This phase aims to increase the land under irrigation, add more employees, shareholders, farmers, and FCs, and start to address challenges such as unfavourable market prices. Victor is confident that as farmers they can improve and increase their production. The economy of the Kingdom of Eswatini averaged 1.8% growth from 2015 to 2017 and contracted by an estimated 0.5% in 2018. In this respect, the mission inspired confidence in the Bank’s executive directors who assured the Kingdom of Eswatini of the Bank’s full support on the path to economic recovery. Currently, the Bank portfolio in Eswatini comprises eight ongoing projects at a total of $238.7 million, spread across the agriculture, private sector, transport, and water supply and sanitation sectors.